At 31 weeks pregnant, I can no longer be in denial over the fact that I’m going to need to go through labor to give birth to my precious baby. After a traumatic first birth experience (although the end result was a blessing = healthy mom and baby), I am carrying a lot of baggage, fear and uncertainty with regard to my son’s upcoming birthday. I recently watched The Business of Being Born, and it dawned on me that hiring a birth doula to be my advocate and labor coach might be a good idea to help ease my mind, and hopefully my experience. I have been actively researching doulas and the role they play in assisting birthing mamas, but the question still looms for me, “Should I hire a birth doula?” Here’s a look into the decision-making journey. 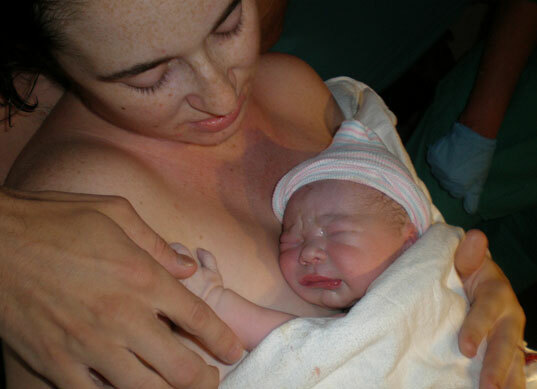 A doula’s role is to “mother the mother” during her labor and delivery. She is a trained advocate who is present to help carry out a mother’s birth plan and it is her job to help communicate the mother’s desires to care providers, ensuring that the mother’s needs are met and her wishes respected. Doulas often employ massage, aromatherapy, hypnobirthing, and other relaxation techniques to help mothers cope with labor pain. 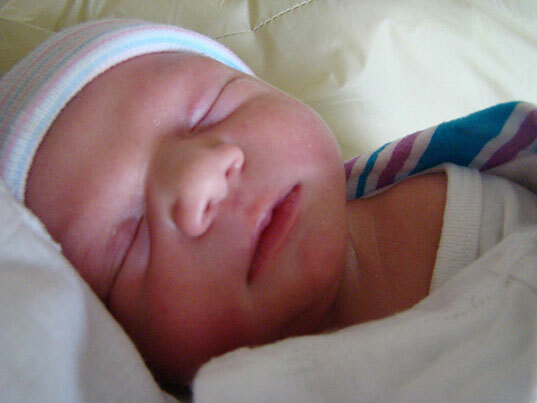 A doula’s goal is for a mother to achieve the best birth experience possible, and to create a happy memory of the day. A doula does not replace a doctor, midwife or nurse. Doulas are not medically trained and they do not perform the following or any other medical interventions: vaginal examinations, blood drawing or temperature taking, monitoring fetal heart rate. I think every woman would opt to hire a doula if money was no object. But the expense of hiring a doula makes it an unaffordable option for many. Certified birth doulas typically charge between $700-$1100 for their services, and in big cities like Los Angeles and Manhattan, their rate is around $1500-$2000. That’s a big chunk of change; and insurance companies typically do not include doula coverage/reimbursement in their policies. But people spend thousands of dollars on their wedding day, so why not spend a fraction of that amount on the momentous occasion of giving birth to your child? NOTE: All of the doula services I have contacted request that their fee be broken up into several payments. Some money is due at the signing of the contract, some is due at 36-38 weeks and the remainder is due at birth. This left me with the question, “What happens in the event of an unplanned C-section?” One service said if the doula did not provide labor support due to the mother having a C-section, that the money could be put toward postpartum doula care at a $25/hour rate. Another service said the money was non-refundable in this event, and that the doula would be present to provide support during or after the C-section, in the hospital. However, most hospitals only allow one other person to be present at the C-section, and typically a mother wants her partner with her. So even though the birth doula’s role may become obsolete in the event you have an unplanned C-section, you’ll still owe her money. 1. Don’t let a doula usurp dad’s role. Instead hire a doula to enhance dad’s ability to provide support and security during labor, with the comforting knowledge that you and baby are being cared for every step of the way. 2. Hiring a doula will give you the peace of mind that you’ll surely see a familiar face when you go into labor. Take it from me, I had about 6 different nurses due to shift changes during my first labor, and my doctor thankfully stayed after her shift to “catch” my baby, but had she not, a doctor I had never met would have delivered my daughter. So many OBGYNs work in groups nowadays, and if your doctor doesn’t happen to be “on call,” or if she is on vacation, you’ll likely be seeing a doctor you’ve never met at one of the most important moments of your life. A doula however, can be a constant source of comfort. 3. Make sure you’re on the same page with your doula — ie: if you are aiming for a natural birth but then decide you would like an epidural, make sure your doula will be supportive no matter what route you choose. Don’t hire a doula who imposes her beliefs on you, hire a doula who helps you uphold your beliefs by giving you all of the information you need about the decisions you need to make, and by respecting and providing emotional support for you at all times. Well-rounded decision making must always include looking at the pros and the cons of any situation. It is worth noting that it has been reported that some labor and delivery nurses feel threatened by and at odds with birth doulas — claiming that doulas try to question their authority and get in the way of decisions that should be made by medically trained staff. It’s the “too many cooks in the kitchen” syndrome. *Since some hospitals are clearly defunct, it may be beneficial to ask your doctor if he has any doula or doula service referrals, so he is aware of your desire to have a doula present during labor and delivery and may be able to recommend one who works well with his team. Did you have a birth doula? What was your experience? Please share in the comment section below! + For more information on doulas visit DONA International. I would highly recommend one! Our doula offered us so much support during my 1st labor, couldn't have done it w/o her. This time around, we didn't even think about it; it's just part of our birth plan now. Also, in regard to the fees you mentioned: you can often find a doula in training who needs to attend so many hours of birth before certification who offers a lower rate. I'm in NYC and there are some great doula coops that have a wide and affordable price range. If you must have your baby at a hospital, I wouldn't dream of doing it without a doula. But I would first recommend having your baby with a midwife in an out-of-hospital setting if you have a normal pregnancy with no complications. There are hundreds of well-documented reasons why a planned out-of-hospital birth with a midwife attending is far safer for low-risk pregnancies than with doctors/nurses in hospitals (read "Born in the USA" for excellent documentation of all those reasons). It is also healthier emotionally for mom and baby and will up your chances of successfully breastfeeding and all sorts of other good stuff. That quote from that hospital's sign in Utah really says it all about how utterly messed-up birth in our American culture is--and how little women think they deserve with regard to power/control over their own bodies and birth experience. If your hospital is unwilling to work with a doula or the nurses and/or OB's indicate they would feel threatened by her presence, you should run, not walk to the exit and find a practitioner who actually has the best interests of mom/baby in mind (rather than, apparently, the fragile egos of doctors/nurses). Thanks so much for your comments. I agree on all counts. I interviewed my first potential birth doula today and was really inspired by her attitude and what she said. I think all birthing moms should treat themselves to having their very own advocate and support during labor... and I am going to treat myself too! Yes yes yes! I passed my due date and had some on again off again high blood pressure during the final weeks so had to undergo numerous (stressful!) non-stress tests and amniotic fluid level checks at the hospital. I did not want to jeopardize my homebirth without real cause. My doula listened to my fears and had practical advice for handling these hospital procedures both to manage my stress and to avoid false results. Its easy to let fears get the best of you, distrust your instincts, be confused, get caught up in overzealous hospital protocols, and just do what the nurse or Dr. says without question when you're in an unfamiliar setting and concerned for your baby. Thats one reason why a doula is so critical in a hospital birth. The hospital has a conflict of interest and countless patients to juggle. 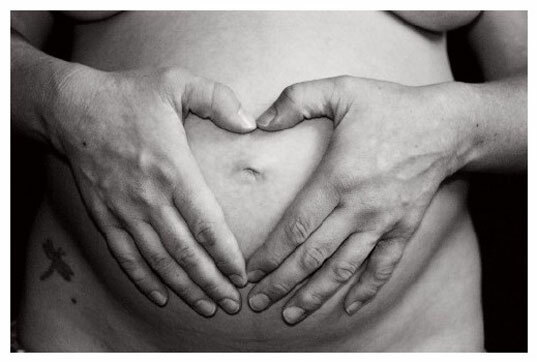 Your doula is there solely for you. During the labor my husband was emotionally supportive and by my side but otherwise he was unsure what to do and tired. My doula was incredibly comforting and caring and did things like cool me off with wet towels, ensured I stayed hydrated, offer honey sticks for energy, bring bowls for me to vomit in, and photograph the labor & birth. Immediately after the homebirth my doula helped me shower (i was weak, exhausted, & overwhelmed). She'd seen the whole birth with objective eyes and far more sleep. We hired her as postpartum doula, reviewed our birth story, helped us process the experience, helped me handle postpartum blues, answered numerous newborn care questions (even middle of the night panic), taught us to babywear, and went on errands for newborn things we needed. Make sure to interview a couple to find the best fit. Note that some doulas offer their services for free to homebirthers working with midwives that they want to get experience with. But truly anything that you can do to improve your outcome, and have emotional and physical comfort during labor is money very well spent! I mean you don't give birth everyday! And if you hospital doesn't want you to have an advocate I'd really reconsider changing care provider, yikes! Read the book The Birth Partner. I loved having a doula at both of my births. I highly recommend it. Eventhough my husband was a great "birth coach" it helped to have a female presence with me who had far more experience than we did. Hey Beth- Great article. My personal opinion is that doulas are well worth every penny.. You only give birth once (per kid I mean) and you want it to be a positive experience! They have a knowledge of labor and provide the kind of professional/expert support that a husband or family member really can't provide - freeing up your loved one to emotionally support you rather than worrying about timing your contractions or trying to determine what stage of labor you are in... I'm really perturbed by the last paragraph of the article in regards to that hellhole medical establishment in Provo Utah that barred doulas and birth plans in their facilities: http://crunchydomesticgoddess.com/2009/10/30/birth-plan-doula-natural-birth-not-here-you-dont/ I would run not walk away from a birth facility like this. An attitude like this basically screams 'we don't care about our patients, we're just after your money'. Any medical establishment that considers a women's labor support person to be at odds with their practices clearly doesn't consider the health and happiness of their patients to be a high-priority. This is clearly an example of some really wrongheaded money-before-health-of-patients type thinking, but I don't think this should be considered to be illustrative of the thinking of most mainstream hospitals. I personally gave birth in a very mainstream hospital (granted in NYC, not Utah), but they were all very supportive and had no issues with my doula, my birth plan or the fact that I was aiming for (and achieved) a Bradley style birth. I did not have a doula for any of my three births. I wish I had, at the very least for my first birth. I didn't think that i needed one with my first birth - nor childbirth classes (hey! let's wing it!) because I was birthing in a freestanding birth center with a midwife. Big mistake! I didn't realize that the midwife wasn't really there as a coach, and of course if there's only one on-call and there's another birth (one ended just as we were coming in) it makes it tough to split time & attention. I also didn't anticipate how difficult labor could be, and THANKFULLY she just followed my cues and "let" me do whatever I needed to do instinctively - but looking back, I really feel that if I'd had a doula there to offer suggestions of things I could do to relieve pain or how to push effectively, it could have been way more awesome. For my twins, the pregnancy was high risk due to twin to twin transfusion syndrome. I actually had an awesome practice that was content to be as non-invasive as I requested, and although I was in the OR with about 50 people, I had a vaginal birth and was fully informed & consented to the pitocin, AROM, and epidural. 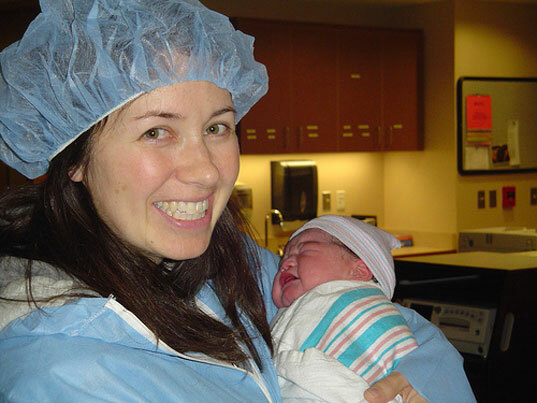 For my fourth baby, I birthed with a midwife in a hospital - it was quick and I had a lot more insight into relieving labor discomfort, but my husband was only able to do what I asked of him, and didn't insinctively know what to do. Not every doula would, either, necessarily - but I could see how we would have benefitted by a doula's presence. I was a massage therapist before having babies, but my experiences with my twins led me to become certified in teaching newborn massage. And later, my breastfeeding experiences (extended bf-ing, nursing twins after NICU stay, etc) led me on the path to helping other women with breastfeeding. There are some other great articles on this stuff going on right now - I don't know if I can link directly here, but The Femnist Breeder has written a few pieces this past week on anti-birth plan practices and so did...the Crunchy Birth goddess? I'd have to go look that one up, but I have a couple kids in the bathtub yelling to get out! Oops typo in my last post! It should have read that �if your hospital doesn't want you to have an advocate DEFINITELY CONSIDER changing care providers, yikes!� I agree with Jill that such a negative policy on doulas is a huge red flag warning you that the provider doesn�t care about you getting the emotional and physical support you need. That�s just shameless. I neglected to mention that in my homebirth my doula also suggested different positions, changing things up, showers for rest, and was part of the discussion helping me figure out how to push. After hours of my own ineffective pushing I needed couching. She demonstrated a curled up pushing position that one of the midwives suggested that ended up being the one that along with other tips like vocalizations and added pushing in between contractions finally did the trick. Thank you for the great article. I am a birth doula. I love it. The doctors at Samaritan Hospital in Watertown NY have been great. The mom's have been awesome and the babies wonderful. I am taking a break from that role because I have a 17 month old baby. I delivered her at the hospital with a doula. She was amazing. She worked hard and was a great advocate for me. I highly recommend having a doula. At 31 weeks pregnant, I can no longer be in denial over the fact that I'm going to need to go through labor to give birth to my precious baby. After a traumatic first birth experience (although the end result was a blessing = healthy mom and baby), I am carrying a lot of baggage, fear and uncertainty with regard to my son's upcoming birthday. I recently watched The Business of Being Born, and it dawned on me that hiring a birth doula to be my advocate and labor coach might be a good idea to help ease my mind, and hopefully my experience. I have been actively researching doulas and the role they play in assisting birthing mamas, but the question still looms for me, "Should I hire a birth doula?" Here's a look into the decision-making journey.